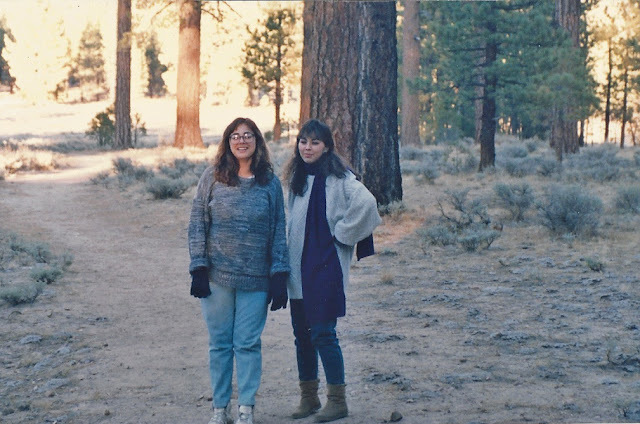 I have very few memories of Holcomb Valley except that it was in Big Bear near the town of Fawnskin, it was in the middle of December (and, therefore, freakin' cold), and we didn't have enough gear to keep us warm in the tent. Bottom line, if you're not prepared with the right sleeping bags and layered clothing for the <18F overnight lows, you're going to be miserable all night long. Poor Gil had to sacrifice his extra blankies for me, but that's what a chivalrous guy is supposed to do, no? 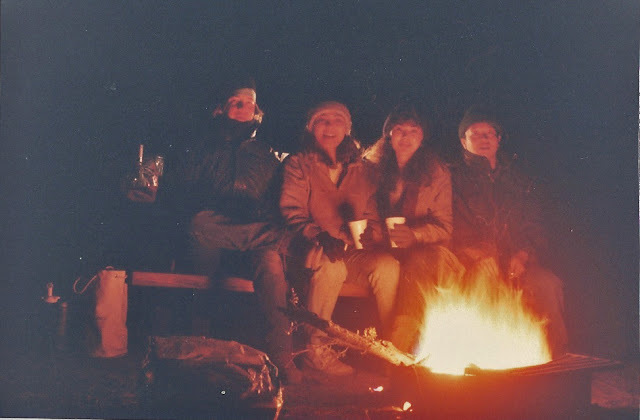 Btw, in sub-freezing temps, don't brush your teeth the next morning in the tent and then try to gargle & spit out through one of those small zippered openings. The stuff just freezes midway and makes a general mess of things on the outside of your tent. Just sayin'. Holcomb Valley's claim to fame is that its namesake, William F. Holcomb, discovered gold here in 1860 and the area produced more wealth in gold per square mile than anywhere else in Southern California. 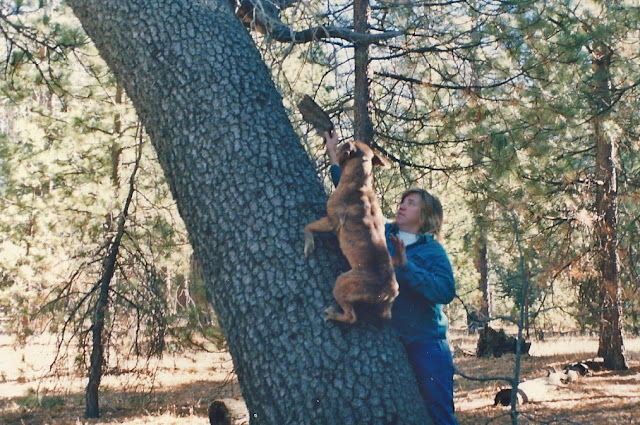 12/22/89 Bill the pit bull, climbing up a tree. A really great dog with a sweet temperament. 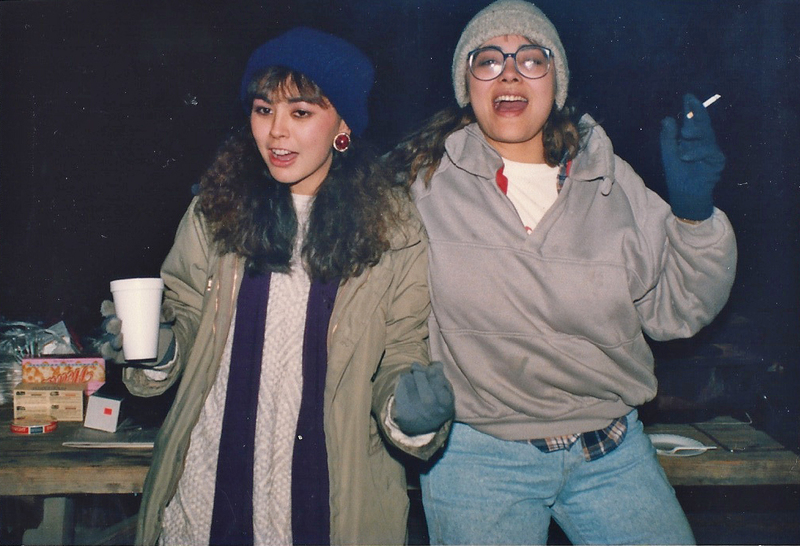 12/22/89 Me & Elaine. Holcomb Valley campground. 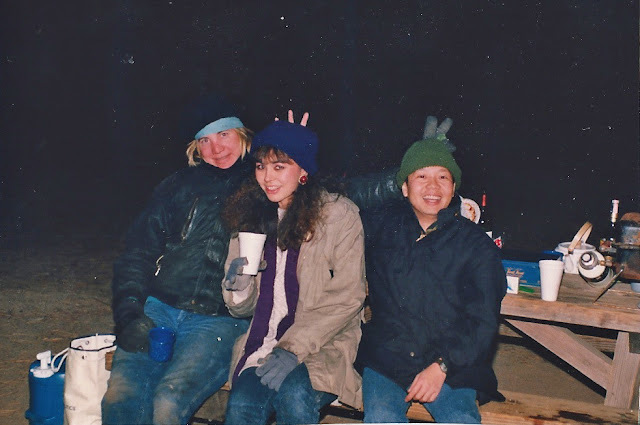 12/22/89 Chuck, me & Gil. Holcomb Valley campground. 12/22/89 I'm pretty sure that stuff in the cup was fortified.